If May holidays in central Russia marks the end of spring and the weather is still pretty cool, then on the Crimean peninsula at that time already opened the holiday season. Swim in the sea too early, but spend time here is always possible with pleasantness. The unique combination of sea and air currents from mountains, healing microclimate and peaceful environment will be most beneficial effects on the body, allow you to relax after working days. May holidays in Crimea remarkable by the fact that at this time there are already massively generous gifts of the Crimean land – fresh fruits and vegetables. After a winter cold and cool spring, they can be very useful will be the basis of healthy nutrition, as rich in vitamins and useful minerals. 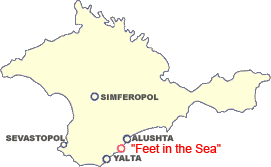 All this for the May holidays in Crimea are ready to offer a lot of sanatoriums and rest homes peninsula, among them – and holiday house "Feet in the Sea". Our holiday house focuses mainly on a family vacation in the Crimea, and for this purpose all the necessary conditions. Vacationers family here can sunbathe, walk on the coastal beach, enjoy the spectacular views. By the way, here placed its own landscaped park, stroll on which lift your spirits and inspire a sense of merging with nature. An unforgettable experience will leave a horseback riding in the Crimea for children who are served boathouse "Feet in the Sea". And take part in them can not only children but also adults – of course, all the rides are under the supervision of skilled and experienced instructors. For the guys matched horses with a calm, quiet nature, so safety is guaranteed. Children will remember horseback riding for a long time, especially those who grow up in an urban setting. 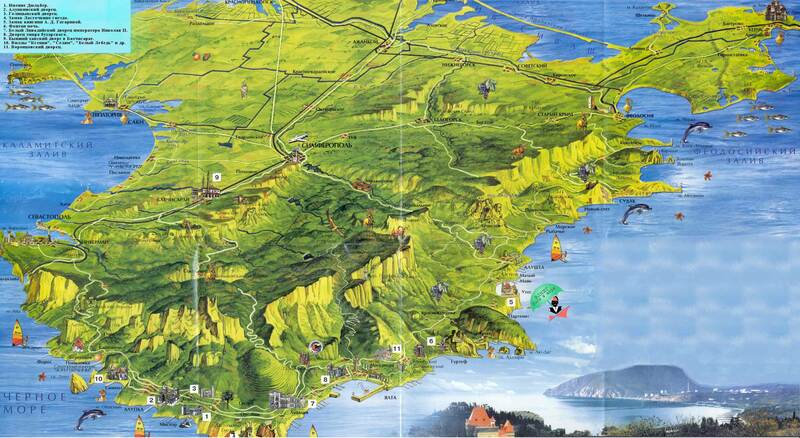 To conquer the top of the mountain peaks in the May holidays in Crimea – what could be better? Horseback riding in the Crimea is much more interesting than the usual hiking and boring traveling by car. After spending a family vacation in the Crimea – you can fill up a photo album with memorable images, viewing that your friends will envy you for good, and you – always keep a piece of spring Crimea. But do not completely forget about traveling by car. For example, leisure travelers in holiday house during the May holidays in Crimea can hire quad bikes – some extravagant form of transport, but all the more attractive. Models are available in different capacities (depending on engine size). On some quadrocycles possible to tour the excursion routes to the mountains Demerji and Chater-Dag – also accompanied by an instructor, who will teach the basics of driving (it is not so difficult as it seems), and come to the rescue in the event of equipment failure away from base. Great fun for children will visit the water park in Alushta (it's only 14 kilometers from the boathouse) or the Dolphinarium in Partenit (5 km). Worthy acquaintance Karasanovsky and palaces that once belonged to the family of Rayevskys and duchess Gagarin, Glade Italian stone pines, park resort "Karasan" located in the vicinity of Alushta. Nice to arrange for the family a picnic on the territory of our boathouse. A table decoration will kebabs cooked on the grill, which provides vacationers. Adults are entitled to complement the meal excellent young wines, because this drink has been famous for the Crimea. Holiday house "Feet in the Sea" guarantees: a family vacation in the Crimea on May Day celebrations – this is a quiet and active leisure for everyone! to the May holidays in the Crimea in 2019.